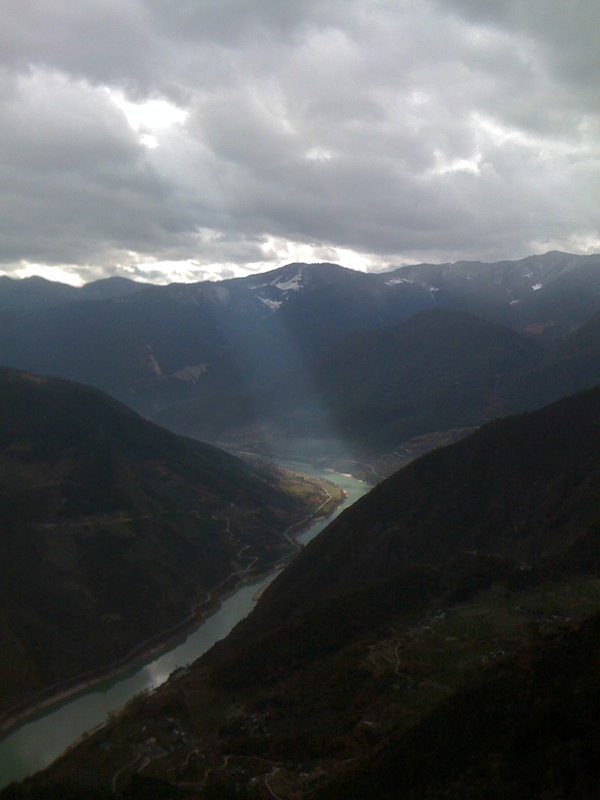 China: A Haven for Outdoor Enthusiasts? Living in a large, bustling city in China, I sometimes yearn for the quiet solitude of nearby outdoor realms that were easily accessible to me in cities back home in the US. Some days I lose my cool and give menacing stares to incessantly honking motorists that bully their way into the back alley close to the campus where I live in Nanjing. Although I have grown accustomed to the occasional and random fireworks that go off from neighboring buildings at any given hour on any given day or the large university buses that barrel by my apartment several times a day, on some such days I try to mentally escape and picture myself in my imaginary happy place- a beautiful, lush field of rustling grass overlooking a pristine lake with snow capped mountains in the background. Other than family and friends, what I miss most about the US is being able to easily escape on my own from the stress of daily life and recharge in a nearby outdoor get away- whether it’s on a hiking trail in the mountains, a nearby park in the city, or in a swimming area along the shores of a nearby beach. That’s how it is in Seattle where connecting with the outdoors is part of the everyday fabric of life in that city. 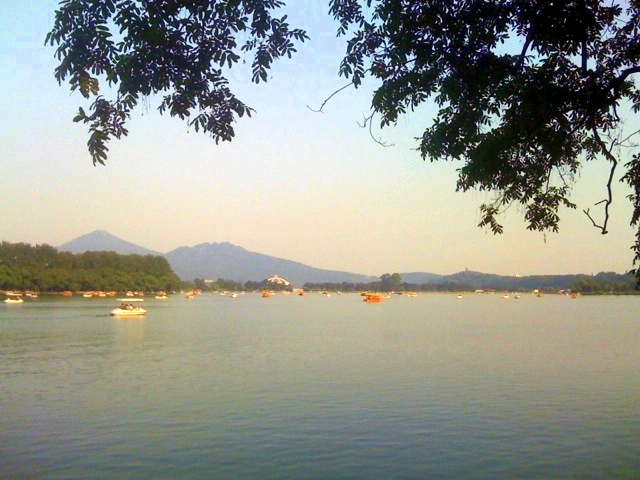 In Nanjing, I recharge and rid myself of stress through a much more different approach. Sometimes, I need my alone time and I hole myself in my apartment for a day or two. But other times, I get re-energized by going for afternoon walks around the district where I live. I poke around city parks and tucked back neighborhoods where several generations of families live in apartment buildings. School age children run ahead of their grandparents who carry their heavy school bags after school has been released for the day. 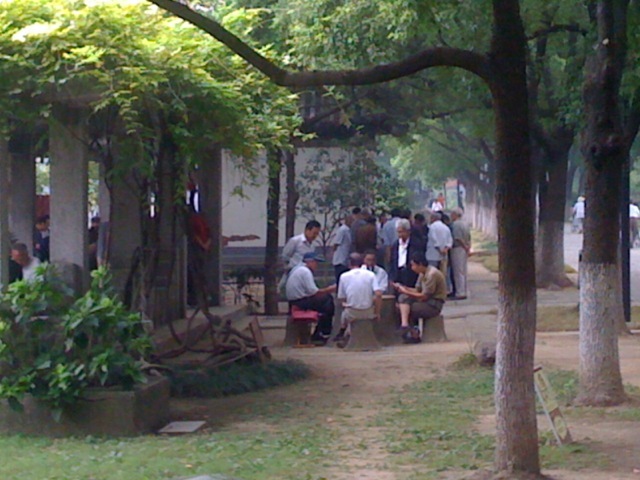 Several older men squat around a small collapsible table playing cards as a small crowd encircles them to watch this form of sport. People connect with ancient traditions such as playing the two stringed erhu or patiently brushing the beautiful strokes of Chinese calligraphy into the pavement. I am a curious fly on the wall trying to get a glimpse into the lives of my Chinese neighbors and rather than getting energized from being alone, I become invigorated from the activities of others around me. Being a “fly on the wall” and enjoying day to day city life in Nanjing. Nanjing’s Xuan Wuhu with Purple Mountain in background. Such was the experience some friends and I had two years ago while visiting China’s famous Huang Shan or Yellow Mountain in neighboring Anhui Province. For me, the most enjoyable part of our two-day trip was the rather secluded and isolated hike we took from the base of the mountain to the entrance of the park. We walked through lush, bamboo forests and stuck our feet in clear mountain streams. We encountered a few people along the way, but nothing like the crowds we ran into once we entered the park. While the views of Yellow Mountain were truly breathtaking- jagged peaks reminiscent of what you would see in ancient Chinese brush paintings, the experience was not solitary. Spending the night in a hostel next to one of the mountain’s cable car stations, we set out early the next day to try and beat the crowds on the steps and on the trail descending the mountain. 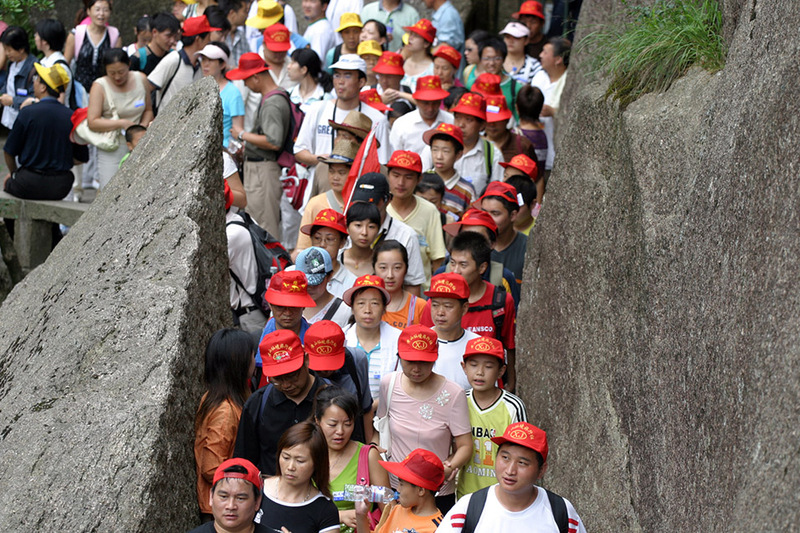 Starting off at a rather good pace, we soon found ourselves edging step by step behind families or large tour groups in which everyone wore the same color shirt and hat and the guides herded group members with a flag while barking directions through portable microphones. Chinese tour groups on Yellow Mountain (Hunag Shan). Courtesy of heybrian.com). Perhaps I am alone in my desire for escaping from others and enjoying nature’s breathtaking views either by myself or with only one or two companions. Meanwhile, some of my Chinese friends may prefer traveling and enjoying nature’s splendor in groups. According to various psychology studies, people are happiest when they travel in groups. Whereas some of us may thrive and get energy by being alone or with one or two other people, others may be happy to go along for the ride and follow along with the herd. Getting back to the outdoors: A Western or Chinese experience? Over the last three years I have lived in China, I have witnessed the growing popularity of camping and outdoor recreational gear. When I first arrived in China, I recall being told that camping was a strange and foreign concept in China and campsites were non-existent. On that same trip to Huang Shan in early 2011, I noticed visitors could be enticed by the novel experience of roughing it for a night in rented tents along the pavement surrounding one of the pricier hotels. Meanwhile, outdoor clothing, backpacking and camping stores have also sprouted up all over the place. 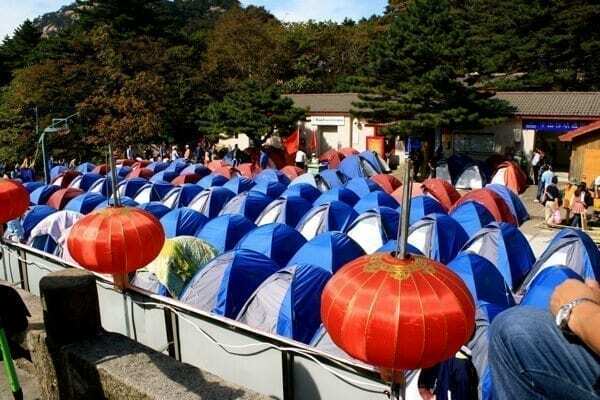 Tents can easily be purchased in supermarkets, and on nice days, you can see families relaxing in their tents in popular Nanjing parks like Purple Mountain or Xuan Wu Hu. 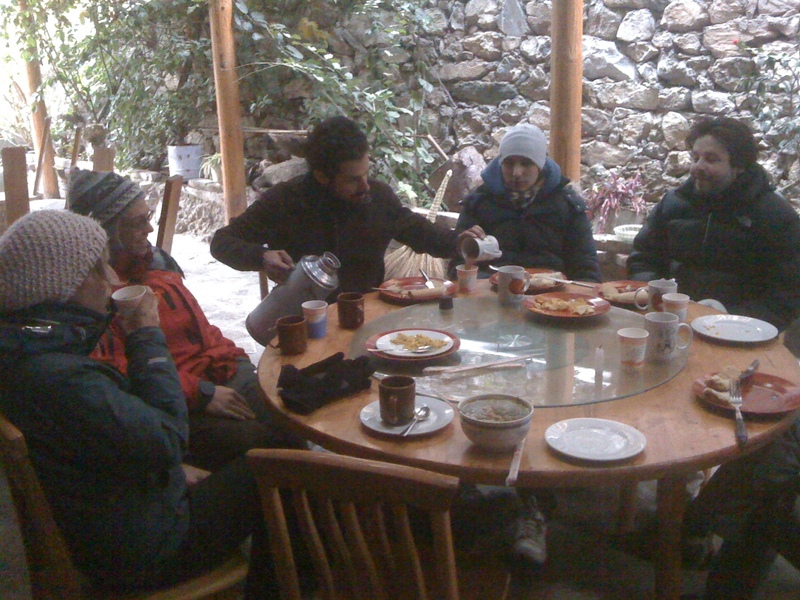 The novel experience of camping on Haung Shan (Courtesy of thewoksoflife.com). Western outdoor and recreational companies especially seem to be making a foray into the Chinese market, especially among the middle class and wealthy Chinese. Companies like LL Bean, Northface and Columbia target Chinese consumers with flashy ad campaigns in taxis and subway stations of Beijing, Shanghai and Nanjing of blonde and brawny gods running through evergreen forests and mountain streams. Other ads seem to romanticize the wide open spaces and exotic minority groups of Western China. Then some ads depict handsome Chinese businessmen loosening their neckties as they take off from their Shanghai office buildings and jump into their Range Rovers just in time to snap some pictures with their expensive Canon cameras of the sunset on the steppes of Tibet. Western outdoor gear brands campaign to entice Chinese shoppers (Courtesy of ideo.com). All of these ads seem quite effective in enticing people to buy various Western companies’ cool products and to be seen with them. But are Chinese people really connecting with the outdoors or is the outdoor craze really a trend embraced by mostly foreigners visiting or living in China rather than Chinese people themselves? Setting out to hike Tiger Leaping Gorge in January, 2012, I was pleased that the trail was relatively empty but surprised that most of the other hikers I encountered along the way were not Chinese (save for the Chinese girlfriend of an American guy; and a nice father and son from Nanjing) but came instead from all other corners of the world including the US, Columbia, Korea, France, Israel, Germany, Austria and Australia. Meanwhile, all of the Chinese tourists I had shared the minibus with from Lijiang to Qiaotou (where I hopped out to start the hike into TLG) preferred to continue on the bus to Walnut Garden where they could snap some pictures of the gorge from the end of the trail. 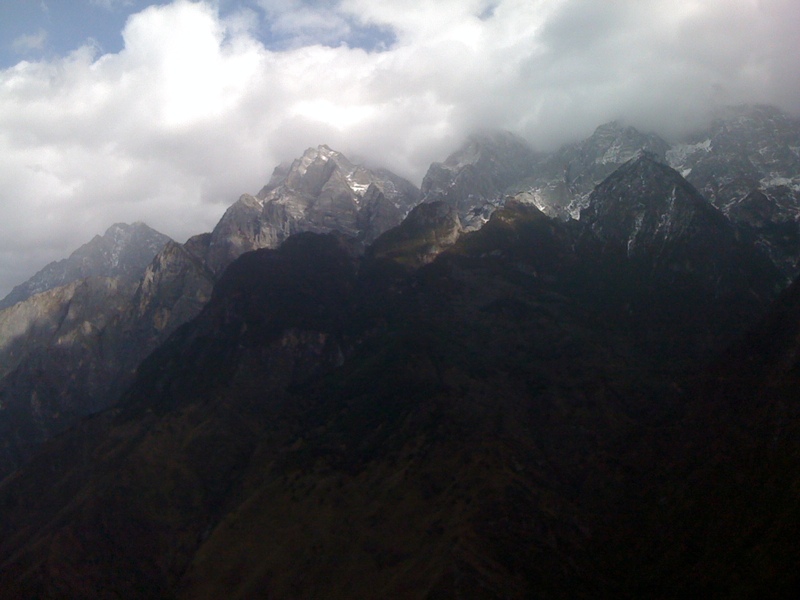 Tiger Leaping Gorge in Yunnan Province. January is the best time to visit to avoid the crowds. While hiking Tiger Leaping Gorge, I met many other travelers from around the world. But where were the domestic travelers and outdoor enthusiasts? Tiger Leaping Gorge was well worth a visit and hike inside its interior! In the end, I do believe that there are indeed Chinese people connecting with the outdoors. The outdoor experience, however, may be different from that of travelers from other countries. Who am I to judge people’s choices? Whereas I may sometimes prefer going off the beaten track, roughing it, and also being somewhat secluded, many Chinese adventurers and outdoor enthusiasts may prefer to travel in large groups and visit popular sites that may have significance in Chinese history of which they may be and should be proud. What is your experience with connecting with the outdoors in China?